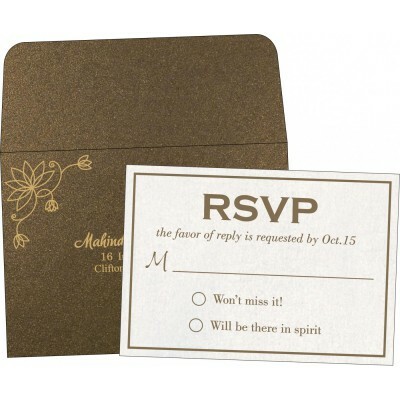 R.S.V.P literally stands for “Reply if you please” or “Please Reply”; it has been imitated from the French phrase “Répondez s'il vous plait”. 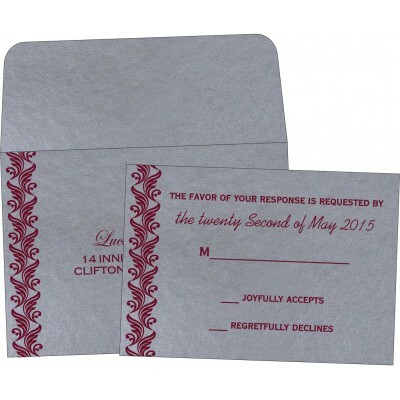 This French etiquette of sending RSVP cards was adopted by the high-class English society in the 18th Century. 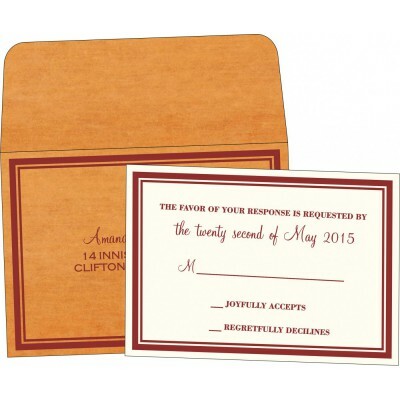 Sending Wedding RSVP cards is definitely a smart and praiseworthy idea to get timely replies from your kith and kin. Moreover, these cards meet out various other purposes as well such as getting information about dietary preference, personal notes, songs preferred, dining choice, any other individual requirements/preferences and so on. 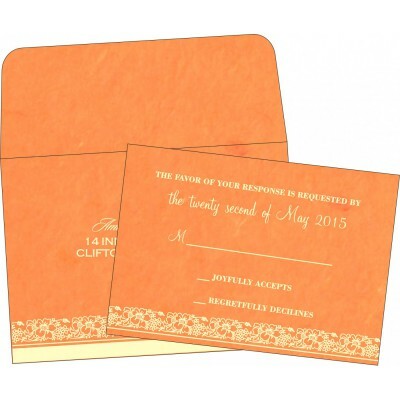 For those who think R.S.V.P cards are simply wastage of money- You are highly mistaken! 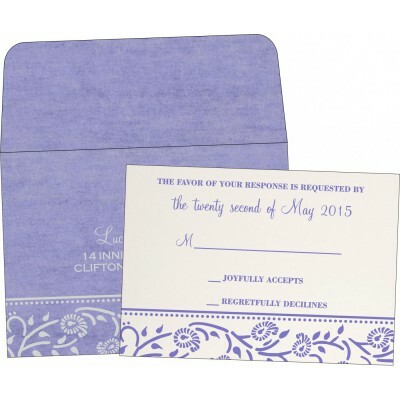 Rather RSVP or Response cards are an investment which is incurred to prevent the extravagances of weddings. Everyone should send RSVP to their expected list of acquaintances so as to avoid unnecessary wastage. 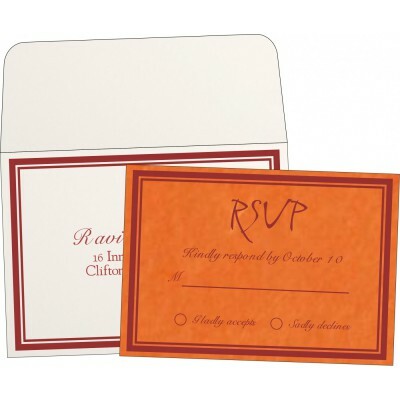 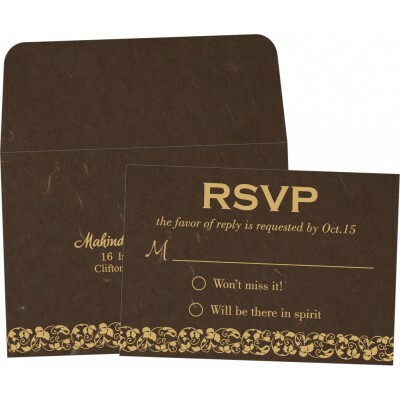 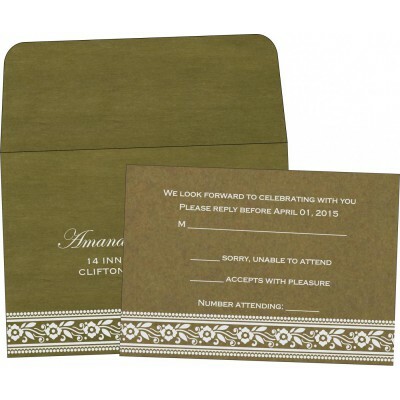 RSVP invitations can be sent to your guests' list in various different ways. The first one involves enclosing a separate wedding RSVP card in a separate envelope within the wedding invitation card. 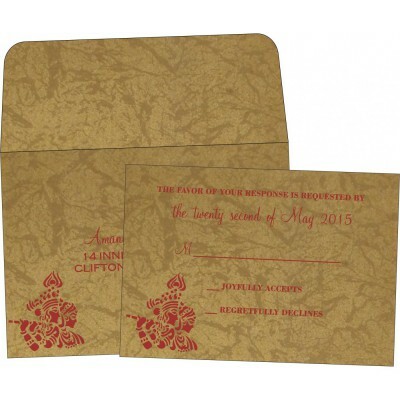 Do bear in mind that the envelope should be duly addressed and stamped. 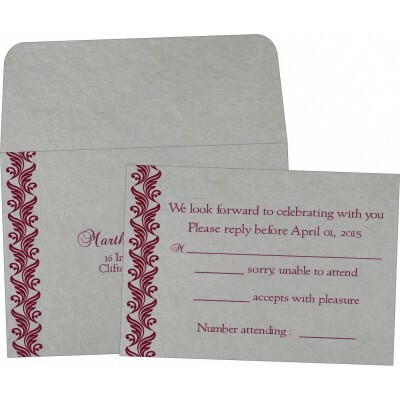 The second one involves, sending RSVP postcards instead of RSVP Cards. 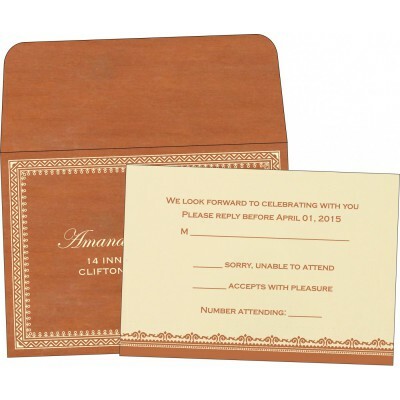 It can be adapted to cut down your costs. 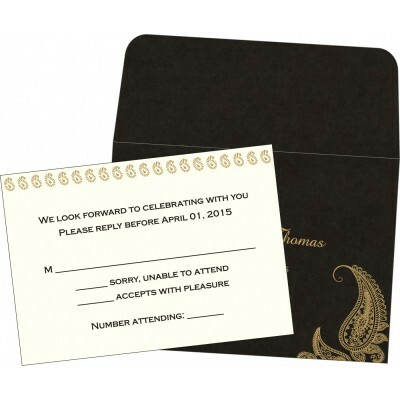 The last one is sending RSVP cards which ask them to respond by mail or phone. 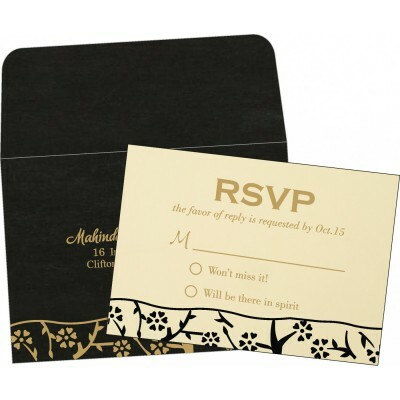 Whatever way you select, just do a proper follow up to make it a real success. 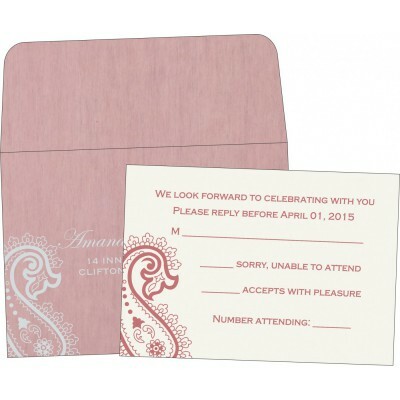 To cater your needs of RSVP cards, we have a vast range of cards in varied designs, styles, and patterns available in splendid quality. 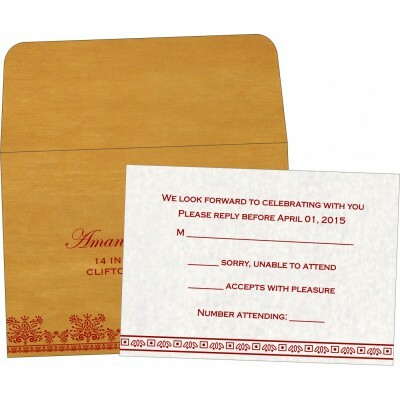 Just click and place your order today!